Is hybrid, electric or petrol cars better for the environment? I am sure we have all heard the fact that Arnie’s hydrogen hummer is better in its entire lifecycle than a toyota prius. Well, we now have all electric cars on the road, so is Arnie’s hummer still better? There is plenty of research out there on the lifecycles of electric versus hybrid, I am sure that we can find a conspiracy theory that says that the ones that say the petrol cars are better are sponsored by oil companies and that the ones that say electric are better are sponsored by treehugging hippies. 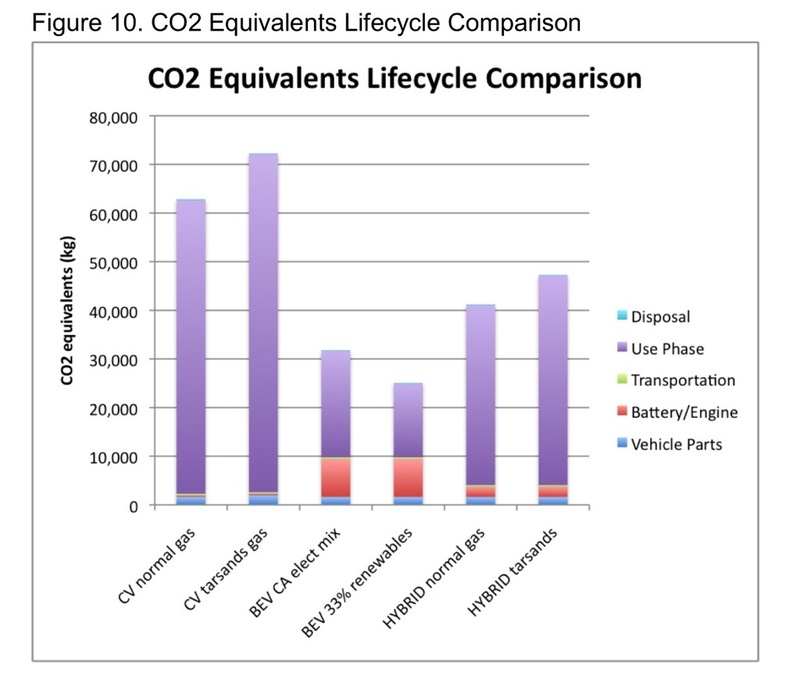 But in the interest of starting a conversation I found a good paper from Arnie’s old stomping ground by the Californian Air Resources Board (CARB) from June 2012 that compared conventional petrol vehicle (CV), battery electric vehicle (BEV) and a hybrid – presumably the only conflict CARB have is a desire for cleaner air in California. So what are the environment benefits? What are the cost benefits? And what 3 things can you do now? First up, this research was done in the states but based on most cars being manufactured in the same country no matter where you buy it, the results of the research should be similar here. But if anyone knows of an Australian equivalent please let me know. The environmental benefit will be from both an energy and a carbon emissions perspective. 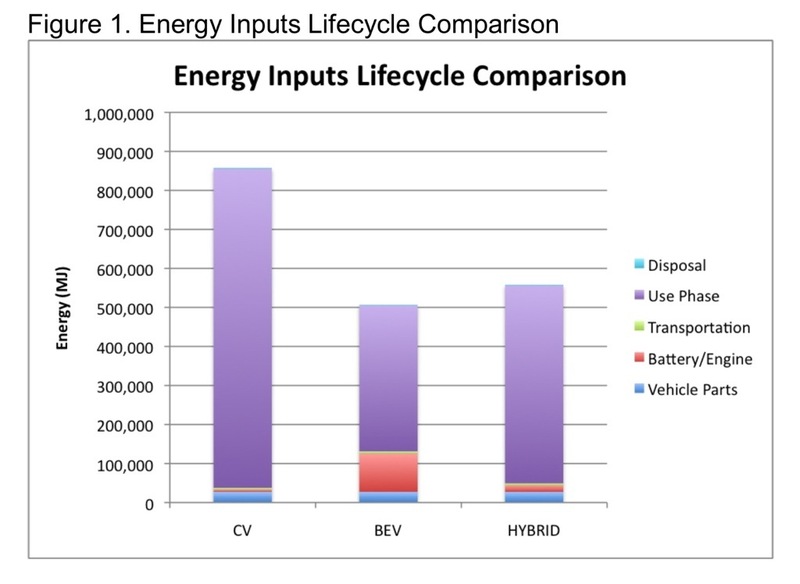 So in comparing the lifecycle energy, both the hybrid and the BEV have less lifecycle energy than the CV. The hybrid has more energy in use from petrol compared to the BEV but less energy in batteries. 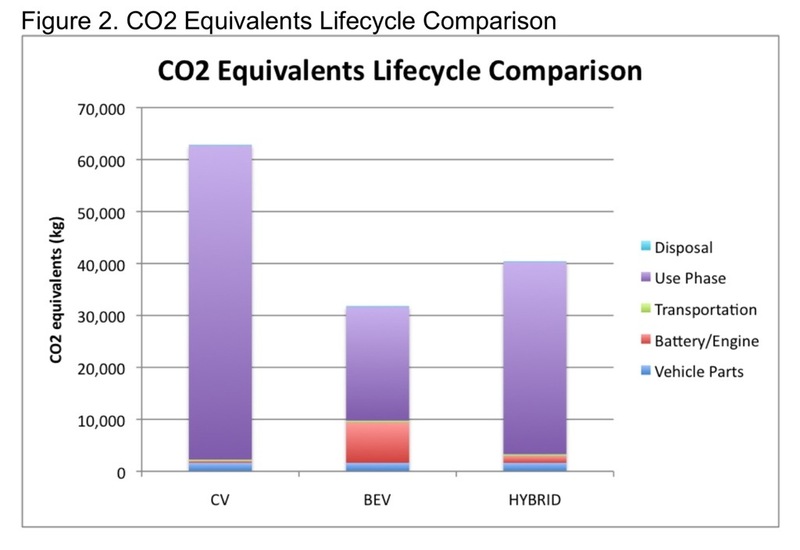 In comparing the carbon emissions, the hybrid and the BEV are better than the CV in California. But what happens in Australia? Well, the BEV is charged from the grid and as we know the Australian grid isn’t as good as California. What CARB have done is to calculate break even point in terms of grid carbon intensity where a CV is better than a BEV, they calculated this to be 0.87kgCO2/kWh of electricity. So if you are thinking of buying a BEV in Australia, make sure you don’t drive it in Victoria as this is the only state where a CV is better and NSW and Queensland are border line but in the long run better. 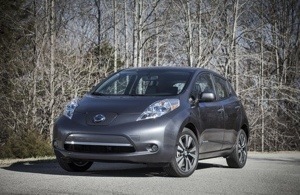 The hybrid isn’t affected by grid intensity as its batteries are charged in use. What CARB also calculated was the increased impact of extracting oil from shale and tar sands, as we are running out of our own oil Australia is affected by global oil impacts. CARB calculated the impact to be an increase of 15% carbon emissions on petrol which makes both the CV and the hybrid worse. Yep, I have checked the US petrol figures and also the comparative car costs to make sure that the CARB conclusion stacked up in Australia. The cost of the cars used in the research are comparative between US and Australia, the cost of petrol is a bit cheaper in California being approx $1USD/litre. This will increase the useage cost of the CV and the hybrid by approx. 50%. The study also uses an electricity price of 7c/kWH (in US currency), domestic prices in Australia for electricity at the moment are about 20c/kWh. The BEV useage cost in Australia will therefore increase by 285%. 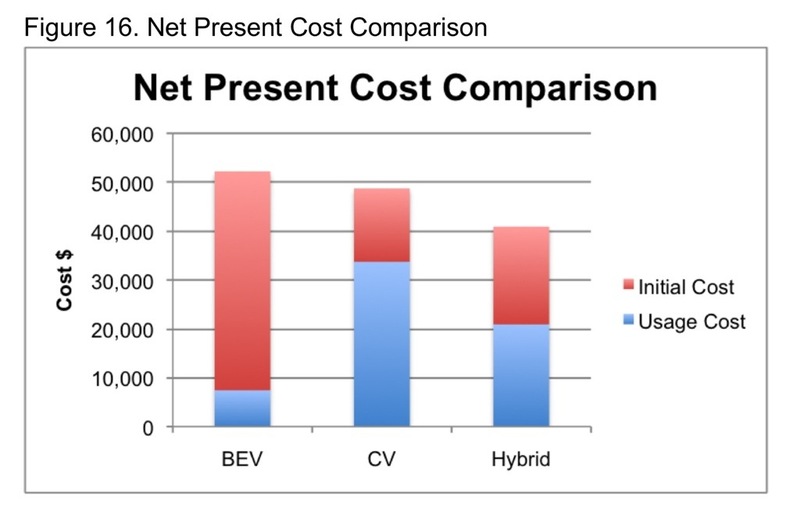 You can replace these costs with any costs you want to see what an equivalent would be, i hVe increased initial cost of BeV and the hybrid to reflect Australian prices. And also make sure you read the research paper it contains a lot of useful information. If you drive in Victoria, New South Wales or Queensland a hybrid is cheaper to run and produces less emissions over a 15 year life than both a conventional petrol car and a battery electric car. 3. This one is easy – drive less. Whether you own a CV, BEV or hybrid it’s still lower emissions to take public transport and lower cost if you walk or cycle. Plus it’s good for you. ← “Is it powered by coal and steam?” – The irony of the intel ad!